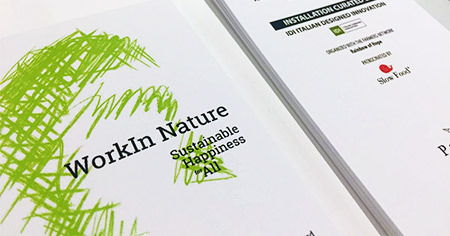 IDI Italian Design Innovation designed the installation, within the Design Week for the WorkIn Nature, Sustainable Happines for All event. It's a metaphoric vision of a future office, where human, human activity and nature are all connected in a happy sustainable ecosystem. It is promoted by Slow Food, in collaboration with the local farmers network Rain of Hope. We are going to create a real vegetable garden in the center on Shanghai.